Shelumiel Abapo, CPA- June 10, 2017, 1:10 a.m.
Every job opportunity in the world requires you to take a good close look at your marketable skills, prior experience, and even educational attainment. Finding the perfect online job is no different. It requires you to identify what you can offer to your client even if your previous experiences seem remotely relevant. No company or entrepreneur would hire without looking at the skills and experiences you have. If there are, those are considered work-at-home scams which will just leech out money from you. You obviously don’t want that to be your online job. I assume you want a legitimate online job? 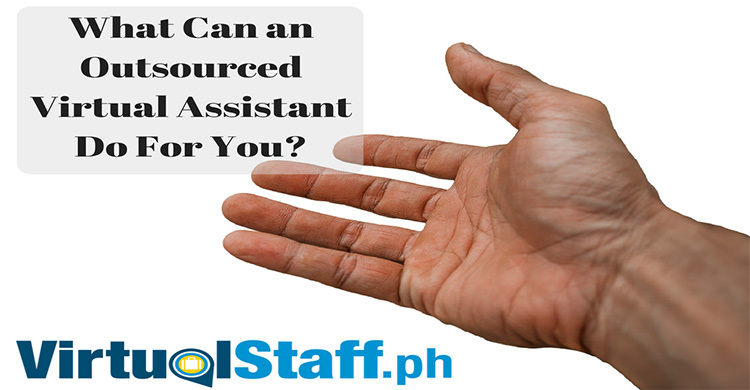 The good news is sites like virtualstaff.ph have thousands of real online jobs both part time and full time that are specifically and exclusively available to Filipinos. So you’re probably thinking, ‘I have previously worked before. But it does not seem relevant to the online job I am applying for.’ It may be remotely relevant or at least slightly relevant. But with many different companies outsourcing jobs to online or virtual employees, almost every skill or work experience can make a difference. What you must do is to check your previous work experiences and your education. Then look for available online jobs that you may have an idea of or you’ve had experience in doing the same job although not exactly similar. If you really want to work long-term in the outsourcing industry, developing your skills as well as learning new ones should be a priority. What you must do is to check your previous work experiences and your education. Then look for available online jobs that you may have an idea of or you’ve had experience in doing the same job although not exactly similar. If you really want to work long-term in the outsourcing industry, developing your skills as well as learning new ones should be a priority. Just like a nurse for example. The patient care aspect nurses do in relation to their job is definitely not something that can be done virtually. But there are many online jobs available to nurses like in telephone triage, where nurses or other medical professionals speak by telephone to a patient then check upon the patient’s symptoms and other health concerns. There are also online jobs involving case management which is similar to telephone triage. Then there could also be teaching. A nurses’ previous work experience and education will come in handy when dealing with these kinds of jobs. Also, online content writers and editors don’t necessarily need to be previously employed as a writer or editor. For as long as an applicant has a good grasp and proficiency with the English language, working as a content writer and editor is possible. There will, however, be some clients who will check if an applicant for an online writing jobs is familiar with terms such as SEO, online marketing and also has knowledge in WordPress or blogging. Do you understand keyword research and link building? If you do, then maybe offering yourself as an SEO specialist or SEO virtual assistant might be an online job opportunity for you. Accounting- having previous experience and even the right accounting education is required. But the work experiences may vary depending upon the need such as in bookkeeping, payroll management, to actually being a Certified Public Accountant. Teaching- Majority of the online teaching jobs will require applicants to have a bachelor’s degree. There will be other positions which will require advance degrees. But applicants can also opt to teach in tutorial positons which only requires expertise in a particular field. You could also teach English as a Second Language to non-English speakers. Having good communication skills in the English Language may be the only minimum requirement. Data Entry- This position requires very little experience. There are however online tests employed beforehand by a client to evaluate an applicant’s typing and data entry skills. Customer service- There are some companies who will only hire applicants with prior call center experience. But for applicants who have retail experience, they can also apply for customer service online jobs. Writing- Most clients will need you to pass samples of articles you’ve written before. Some tests in the English language will also be employed to check on grammar and sentence structure. An online job is definitely not that different compared to an actual, office job. You will need to have the same diligence in developing your skills and also in searching for the perfect job. You will be earning well in no time if you are able to successfully combine these two aspects. 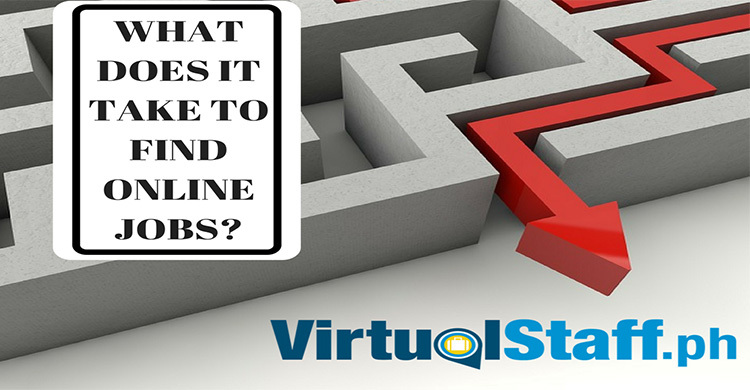 Remember, if you live in the Philippines, you can view and apply for thousands of online jobs at www.virtualstaff.ph which is the number one job site in the Philippines that is solely dedicated to helping Filipinos find online jobs.